From happiness to exercise, deep sleep and great food, Brad King loves the life he leads. 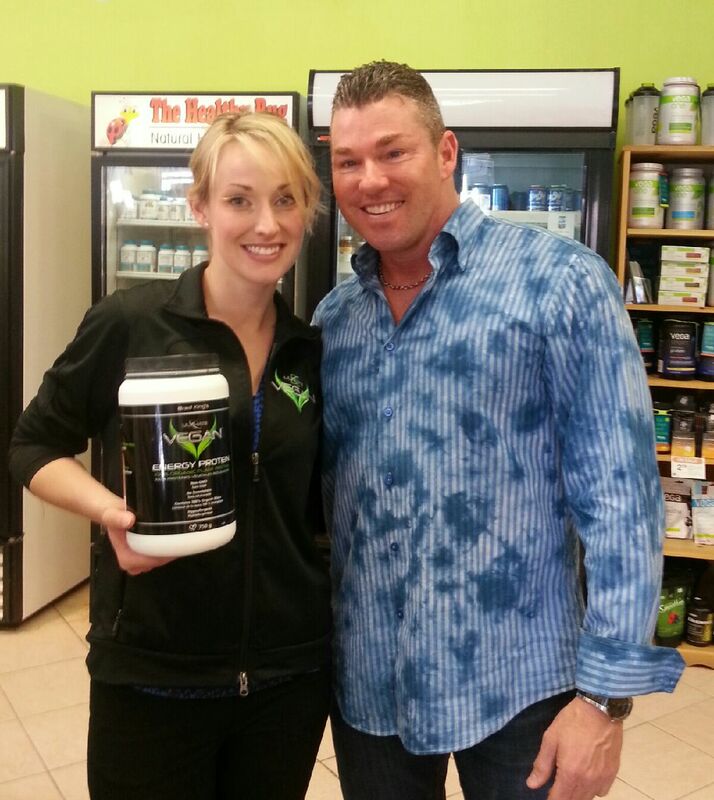 An author and speaker in the field of nutritional supplements, King is a member of the Canadian Sports Nutrition Hall of Fame. He focuses on one of the most basic subjects: happiness. “People in western culture have forgotten how to be happy,” he says. “One morning I offered to give a cabbie $1 for every person he saw that was really smiling. He didn’t make one dollar from me.” No wonder: The number one selling drug in North America is an anti-depressant. We are here to be happy, he says. Then we do everything better and our immune systems perform at peak capacity. The background issue is stress—the modern disease: 80% of the people who go to the doctor report high levels of stress. “They perceive their environment the wrong way,” he says. They overreact to traffic jams and other inconveniences. He notes that the new science of epigenetics shows that your mind is the most important factor in controlling your genes. Then King segues into nutrition, noting that the brain uses 20% of the oxygen and 50% of the glucose we consume. Other people don’t seem to age, he says. “The difference is that their bodies are regenerating at the cellular level. Like a five year old, they look to be happy in the moment. Their cells are regenerating faster than they break down.” This process of regeneration can happen even in your 70s, 80s and 90s. Loss of muscle mass is the number one parameter of aging, he says. Sleep is key to health. It helps to have a deep sleep in a cool room. Then your body produces melatonin, prolactin and human growth hormone. According to Dr. James Moss of Cornell University in his book Power Sleep, 60% of the adult population suffers from sleep deprivation, often brought on by high levels of stress. Diets are often counterproductive. A diet causes you to burn fat and muscle. When you lose one pound of fat you also lose one pound of muscle. Many people do not eat enough high quality protein. We are made of protein so we need the amino acids that make up protein. It is a myth that we need more calcium to prevent bone loss. Instead, we need trace minerals to activate other nutrients. In this case, we need Vitamin K-2 so that we will absorb calcium properly. King introduces George Hildebrandt, also known as “Maca George.” He is from Peru where maca, a member of the cruciferous family, grows in harsh conditions on mountain tops. “In ancient Peru, the royal family and their warriors consumed Maca,” he said. The Maca root is dried in the sun. It then needs to be gelatinized to be digested properly. Maca is an adaptogen, a plant extract that is held to increase the body’s ability to resist the damaging effects of stress and promote or restore normal physiological functioning. It contains amino acids, minerals, sterols, fiber, fatty acids and vitamins as well as tannins, carbohydrates and protein. It can assist in increasing energy, stamina, libido and brain health, he says. It helps with menopause and can improve sleep, reducing stress while improving concentration. It can protect cells from free radicals and helps to build muscle mass. In Peru it is used in soups, stews, boiled and roasted. It is found in flour mixtures and is consumed with milk and water. Its leaves are brewed for a cup of tea. In Canada it is consumed as a liquid, powder or capsule.